A question for Joni Mitchell fans. 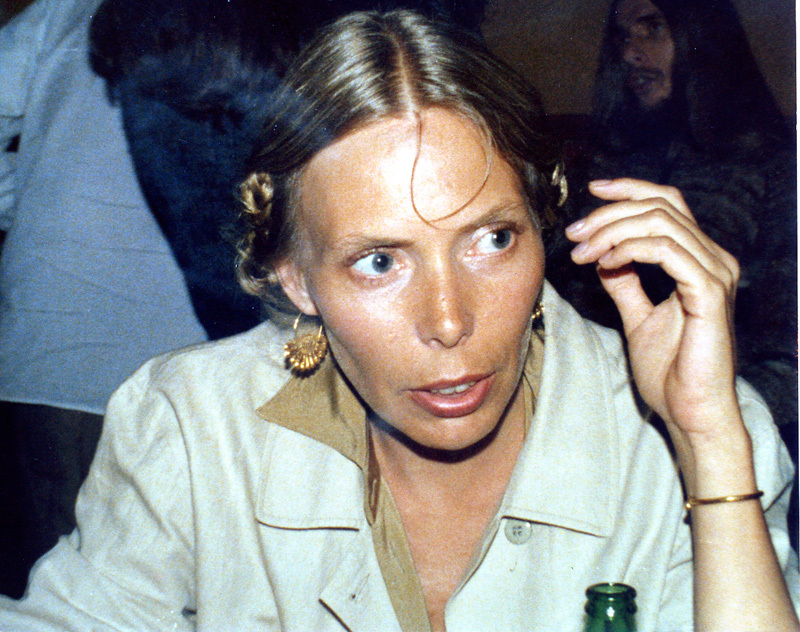 Forums > Music: Non-Prince > A question for Joni Mitchell fans. What are some good albums to start off on? Maybe ones that likely got Prince interested. That is Help Me on the album Court And Spark - good place to start. Prince has done (awful) covers of A Case Of You. The original, on the album Blue, consistently moves me to tears for some reason. Hissing Of Summer Lawns is another essential album, clearly huge influence on Prince. For me, the way in was through “Court and Spark” and “Blue.” I’d also say that “Turbulent Indigo” makes a good entry point. But then you just have to get to “Hejira” and “Hissing of Summer Lawns.” They’re majorly ear-opening. I look forward to some new discovery. I personally adore Prince’s A Case or U.
I asked the same question a few years ago of Frank Zappa fans and the answers I got were fantastic. I try and avoid discovering new (to me) artists via hits compilations. Definetly pick up 'Hejira". It's a great album and it's supposedly one of the last CD's he purchased before he passed. As well as, it's under the round window in UTCM. NEVER noticed that before...Great eye! Another vote for Hejira, but really, you should listen to them all. And don't be sleepin' on Miles of Aisles! I love HOSL and can barely crack Hejira. Just a shout out to all the Joni fans on here! I really love her orchestra album of her own songs called "Travelouge", it's a beautiful 2 disc set with some great song choices. I am trying again, and all of these songs sound melodically like "Shades of Scarlett Conquering" rewrites. Driving me a little nuts. MEMPHIS - There's an electrical wire hanging down in front of bluesman Furry Lewis' small, olive green duplex. It drapes across his front porch, and Furry is so worried about it he can hardly get drunk and have fun with the people who have come to visit, "Somebody call up the 'lectric department to fix that thing!" he yells, sitting in the bed that has become his stage and pouring a dose of Ten High bourbon into a well-worn shot glass. "l know I've always been a rascal, but I ain't never done nothin' bad enough to be in the 'lectric chair." Age and cataracts have dulled Furry's eyesight - though not his feisty spirit - and his public appearances have been whittled down to a cherished few, but Furry's still got the world at his bedside. Guests, from young neighborhood kids seeking guitar lessons to celebrities, stream into his three-room flat. Lewis played his slide-driven, talking guitar blues with the father of the blues, W.C Handy, on Beale Street in the early 1900s. Today, the street is crumbling, and a small statue of Handy toting a horn overlooks the ruins. To Furry Lewis, Beale Street was "where somebody was killed every Saturday night and born every Sunday." At arm's reach from his bed, Furry's got all his daily necessities: battered Martin electric guitar and small amp, two half gallons of Ten High, a .38 revolver stashed inside a drawer, his walking stick, a teddy bear and a cigar box labeled "Business". "I'm 83 years old half blind and gots a wooden leg," he says. "But I sure gots a lot of friends. " But Furry's got his problems, too. Just a few weeks ago, he explains, he played at a local club and still hasn't been paid. And then there's "that woman" who recorded a song about him. While our limo is shining on his shanty street. Old Furry sings the blues. Still, Furry can't deny the truths of "Furry Sings the Blues," with its references to Beale Street's doom, that "history falls/ To parking lots and shopping malls." "They only make a statue of you when you dead and gone," Furry says. "I've known a whole lots of musicianers in my life and lots of 'em are dead now. But I guess that Handy's the only one that's ant a statue of him. But then I ain't gone yet. "Now I know I ain't a star," he says, reaching for his glass and winking with a wise old grin "But I sure might be a moon." I love "Song For Sharon" though. "I don't pay royalties to everybody who says they don't like me. I'd go broke." Not sure if that was a quote from Joni or Roberts, but it most certainly applies to Joni . Hard woman to love, that Joni. Recommend Reckless Daughter for fans of the bio. Good stuff. 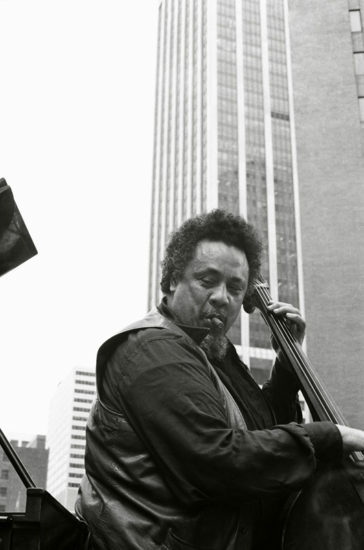 In his final, terrible year of 1978, life was slipping from Charles Mingus each day, and he needed to do something to spread the word—maybe find a new audience for his records. Damn, he was 55 years old and not ready to check out. The concert stage was finally opening up for him! He was just getting ready for his renaissance. Sue Graham Mingus, his indefatigable wife—who knew a thing or two about working the press when she edited the hip magazine Changes—was frantically looking for a final project. She wrote some lyrics for his songs, but they weren’t good enough. The Philharmonic was booked. She needed something big right away. Producer Daniele Senatore showed Sue and Charles the cover of Don Juan’s Reckless Daughter and played it for them. Joni Mitchell was clearly more than jazz curious, and was even using her record cover to explore her inner (and outer) black man. Could this be the woman to give Charles a fancy funeral? Could this be a way for Joni to get some musical education from a true master? 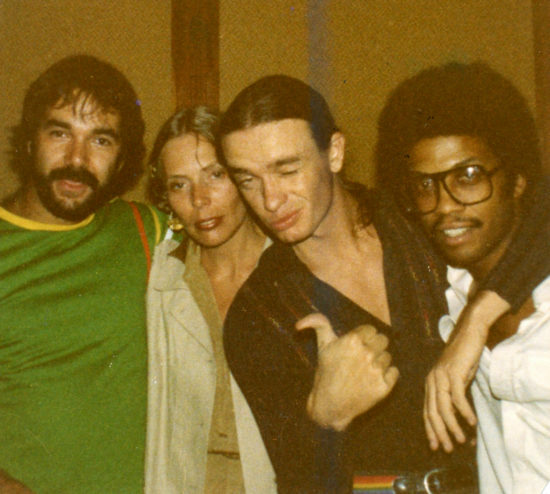 They sent smoke signals in Joni’s direction, and they wanted to give her an impression that Mingus, who had actually been unfamiliar with Joni’s work, was a fan of “Paprika Plains,” and admired how she was stretching out with bassist Jaco Pastorius and other musicians not exactly on his radar. It hardly mattered. Not only was Joni summoned, she was importuned, but by the great man himself, a shrewd tactic on Sue’s part. Shortly after finding out that he was dying of ALS, Mingus invited Senatore over. “I want to talk to you about God,” he said. Daniele said, “You’ve got the wrong guy,” and suggested he read T. S. Eliot’s Four Quartets. Reading Four Quartets is a sublime and distilled way of talking about God. It is a devotional poem, but it is also apocalyptic, published in 1943, two years before the end of World War II. Although Eliot would live until 1965, Four Quartets would be his final major work of poetry. Mingus, whose fecundity was fading fast, could dig its mixture of pastoral, eulogy and ritual. He felt he could set it to music as a big send-off, the epitaph he had struggled to write on and off for decades. But he had to do it fast and make a little green while he was at it. Joni knew almost nothing about Mingus—including his ability to comprehend T. S. Eliot. In fact, unlike Joni, Mingus loved poetry. His second wife, Celia Zaentz, recalled him wooing her with his own poems. He recorded part of an album with Langston Hughes and conscripted Allen Ginsberg to perform an ad hoc wedding ceremony with Sue Graham. He performed with the proto-Beat poet Kenneth Patchen, and in 1972 wrote an unconventional string quartet (two violas and two cellos) as a setting for “The Clown,” by the great New York School poet Frank O’Hara. A manuscript in the Charles Mingus Collection at the Library of Congress reveals a setting of “A Sane Revolution,” a poem by D. H. Lawrence. And so forth. The drummer John Guerin, a former romantic partner, told her she would be crazy to give up this opportunity. He was also more than annoyed that it had landed in the lap of someone who knew so little about Mingus. She absolutely had to do this, he told her. Most musicians he knew would kill for this opportunity. She’d better learn fast. Elliot Roberts and David Geffen, who had guided her career with so much freedom and so much care, thought it was finally time to intervene. They begged her not to take on this collaboration. Joni, you’re going to lose your audience! Joni, you will be banned from the airwaves! And you will never recover! When she first met Mingus, he was already in a wheelchair, facing the Hudson River. He had not yet lost his ability to provoke. “That song ‘Paprika Plains,’” he told her. “The strings are out of tune.” Mingus was testing Joni, but she adored him immediately and, of course, agreed with him about the strings on “Paprika Plains.” She wished someone else had noticed. Illness had made Mingus vulnerable. He was sweet, but she saw the devil in him, too. Joni takes pride in her jive detector, and she knew she was in the presence of the real thing. When Joni read Four Quartets, she said she concluded that she’d rather set the King James Bible to music. The poem wasn’t too daunting—she just didn’t think it had enough meat on it. It reminded her of a quotation from Nietzsche she enjoyed repeating: “Poets muddy the water to make it seem deep.” Anyway, wasn’t she there for lyrics? It was for the best that Joni didn’t appreciate Eliot; she, not Eliot, was to be Mingus’ scribe. Mingus figured this out pretty fast. It wasn’t long until Mingus informed her that he had written seven pieces, titled “Joni I,” “Joni II,” all the way to “Joni VII.” Mingus composed these melodies by singing weakly into a tape recorder; they were then set with chords by the arranger Sy Johnson. The melodies sound so peripatetic, it is a testimony to Joni’s powers that she could find words for three of them. After all, it’s not as if she had a background in doing such things. In the liner notes to the album, she compared turning these melodies into songs with lyrics to jumping into deep water, and it was not an exaggeration. Letting Jaco and saxophonist Wayne Shorter riff behind you was one thing; this project was the biggest musical dare she had ever received, even bigger than “Paprika Plains.” She was charged with taking Mingus’ final melodies—with chords far more weird and obscure than anything Joni was accused of playing—and not only finding lyrics for them but words that would express the dying wishes of this larger-than-life genius. “What’s the first melody about?” Joni asked of “Joni I.” She couldn’t read music, so she was looking for a theme before she got a chance to hear it. “Some things I’m gonna miss,” he said. Joni saw Mingus facing the Hudson River—looking north to the wilderness of the New Jersey Palisades and forward to construction of high-rises he knew he would never see completed—thinking of all the styles of music he wouldn’t explore, all the musicians he wouldn’t hire and fire, all the friends he’d miss and, of course, all the beautiful lovers he would never get a chance to kiss. Mingus was entering a liminal space between life and death. ALS would make Mingus mourn himself while watching others mourn for him. “Oh, I’m dying,” he said. Joni had never put her voice or lyrics to someone else’s music before, but this was an extraordinary figure in a dire circumstance. The idea of missing things was enough to fill a song. Sonny Rollins was making frequent visits, as were other musicians, including Dexter Gordon and Jack Walrath, who had played trumpet in some of Mingus’ last ensembles, and who lived in the same building. Ornette Coleman stopped by, despite Mingus’ backhanded compliment, back in 1959, that he was “playing wrong right.” Even Jimmy Knepper, who got punched and severely injured onstage for “falsifyin’ his emotion,” called him in April 1978 on what would be Mingus’ final birthday. Rivalries and alliances were all melting together on this farewell tour. 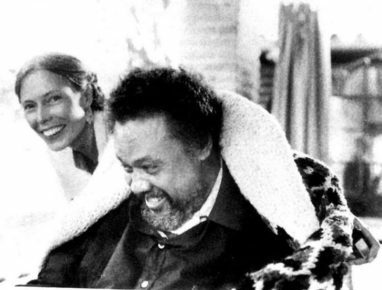 In addition to the seven melodies, Mingus instructed Joni to write lyrics for two melodies from his 1959 classic album Mingus Ah Um. One of them, the ballad “Goodbye Pork Pie Hat,” perhaps Mingus’ best-loved composition, was a requiem for Lester Young, the great tenor saxophonist, whose cool style would be, to Mingus’ chagrin, imitated by an entire school known as “Cool Jazz.” Even though Rahsaan Roland Kirk had already written lyrics for it (on his 1976 album The Return of the 5000 Lb. 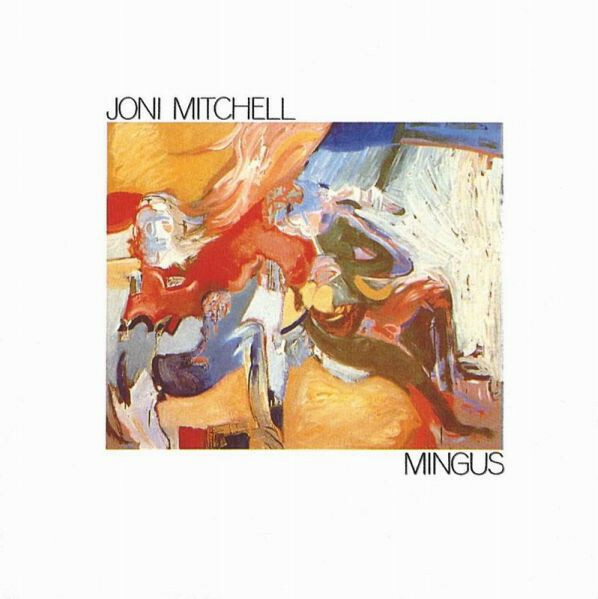 Man), Mingus believed that Joni could write better ones. He also told her to take John Handy’s classic sax solo and make vocalese lyrics out of it. Joni initially balked. Mingus played it for Joni. “What do you think?” he asked. “Oh, my God, it’s maudlin,” Joni said. She walked right into the clue for the lyrics: a bar called Charlie’s and a club called Pork Pie Hat Bar. It was just too perfect. How could Mingus be suffering such a cruel fate and Joni find inspiration laid out for her like that? Joni would have her moments grappling with fate later, though none so brutal as what Mingus was enduring. There was the story of Joni and Mingus and then there was the story of Mingus and Lester, which starts off the song, and, in a way, closes the circle, too. Finally, the record named for Mingus became a Joni Mitchell record. She would get to know him, study him, his personality, his memories, his sadness. But he would, in the end, become another one of her subjects. And even when she wanted listeners to imagine Mingus singing, she could only be assured with her own musicians playing the electric instruments Mingus abhorred. He would have appreciated a piano solo by, say, Don Pullen—his recent pianist of choice and a master of percussive dissonance and swing. On the other hand, Herbie Hancock on a Fender Rhodes, no matter how eloquent, would not have been a sound that pleased him. But then anyone familiar with Joni knew that she wouldn’t be able to submit to Mingus’ predilections anyway. The Fender Rhodes and fretless bass would have to be there. And three members of Weather Report—along with the head of the Headhunters—would be her band. It was not music Mingus approved of, but then he wasn’t around to complain. 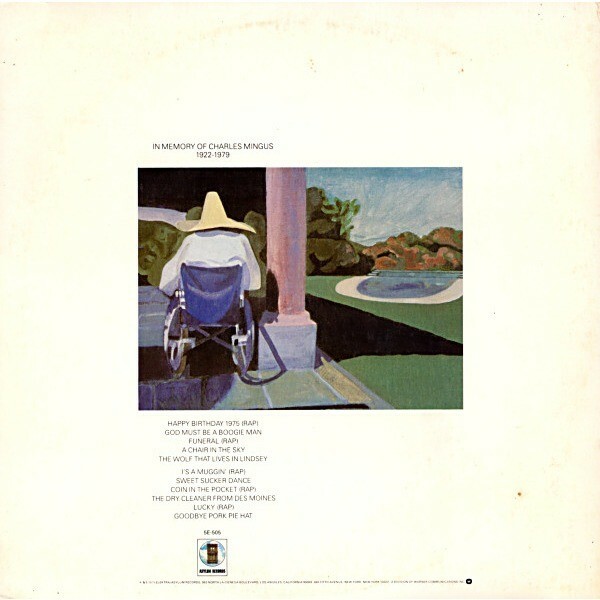 So she went back to A&M studios in L.A. and cut it with Hancock, Shorter, Pastorius and drummer Peter Erskine. Mingus did, after all, hire Joni to write his epitaph. People have wondered why the tempo on Mingus is so slow. In part, it was because of the elegiac nature of the material. This was certainly not consistent with Mingus’ music, nor did it have the rhythmic variety of Don Juan’s Reckless Daughter. The tempos of Weather Report ran at breakneck speeds. But the focus on Mingus would be the voice, lyrics and melody. Anything as jam-packed as a Mingus session could be too distracting from getting the words out—or for giving enough space for Joni and her demands for audacity from Pastorius and minimalism from everyone else. Similarly, many people in the jazz world have wondered why an album devoted (mostly) to Charles Mingus’ music and featuring some of jazz’s most stellar improvisers (even if they were not from Mingus’ inner circle) had Herbie Hancock and Wayne Shorter discreetly riffing behind Joni, without any real solos. The album was less than 40 minutes and certainly could have had room. But Erskine explained that maintaining those tempos was a challenge, and stretching the songs further just didn’t feel right. Herbie and Wayne and Jaco could be heard taking solos on many records. This was a record guided by a voice. As Mingus deteriorated, Joni knew that he wouldn’t live to hear this final album, but others would. Mingus’ final months were spent on a wild-goose chase. The baritone saxophonist Gerry Mulligan recommended that Mingus be treated by a faith healer in Mexico named Pachita, and Mingus was so desperate, he followed the tip. Joni came along for the ride for 10 days. Pachita conducted a ritual that purported to use Mingus’ blood but really did not. Mingus and Joni looked at each other when each realized she was a fake. They both had their jive detectors, even as his fuse was about to go out for good. They could communicate with each other, even when Mingus was nonverbal. Don’t blow my songs, he might have been thinking. “It’s my solo while you’re away,” she sang. Mingus died on Jan. 5, 1979 (along with, according to the album’s liner notes, 56 beached whales). The album was released in June. Blue is definitely the place to start IMO. Both accessible and artful, which is hard to do. Often mentioned in lists of the top albums of all time. Has "Case of You" that Prince covered so beautifully. Her whole catalog is artful. I hear people reccommend Blue all the time, but I think Court & Spark makes the most sense since she actually has a BAND on it.